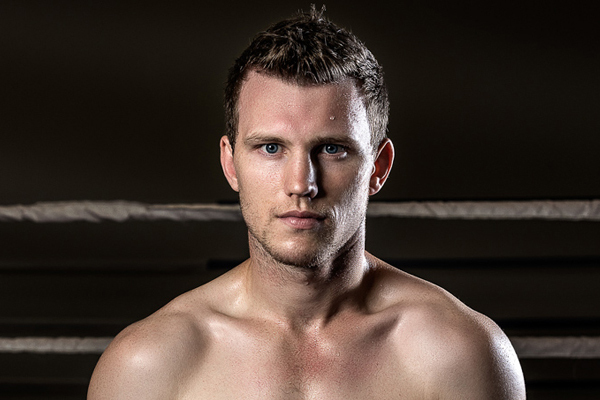 Sunday afternoon, in anticipation of next weekend’s big clash between Jeff Horn and Terence Crawford, I rewatched Horn’s breakout victory over Manny Pacquiao from last July. The win lifted Horn from relative obscurity and made him a player in one of the biggest bouts of 2018. Right off I should make it clear: I think Pacquaio beat Horn. I scored seven rounds for the Filipino Senator and gave even though he failed to remove Horn from his feet, I made Round 9 a 10-8 Pacquiao round. Horn showed grit and toughness to stay standing but Pacquiao provided a vivid demonstration of what it means to batter somebody from “pillar to post.” After the frame, the referee went to Horn’s corner and threatened to call the fight. That’s a 10-8 round in my book. So I had the fight 115-1112 Pacquiao. But I’m not going to pull a Teddy Atlas here. The pro-Horn scoring was hardly a travesty of justice. We can call it “home cooking” but not an outright robbery. There were many close rounds. I was not sitting ringside, as the judges were. Jeff Horn executed an outstanding game plan and used his considerable size and strength advantages to thoroughly bully Pacquiao for large chunks of the fight. He fought “ugly,” and to great effect. At times he squared up completely and crowded Pacquiao with quick, choppy steps, in a manner almost reminiscent of a soccer fullback closing on an advancing mid-fielder. He did not fight dirty, but he sure as hell fought tough. In the first half of the fight, especially, he frequently responded to Pacquiao’s best scoring punches by instantly bulling his way forward, looking to land one of his own. able to land scoring punches from every range and from a large variety of angles. When he saw a chance to land a big punch, he sold out and threw it, gambling on being in a bad position if he missed. It was an inspired effort. Ultimately, of course, I am convinced that Pacquiao won the last five rounds of the fight, to clinch the win. After Round 9, Horn came back and mounted a game effort, but it was clear that Pacquiao had taken a big chip off him during those championship rounds. I think it says a lot that Manny Pacquiao did not push hard for what every honest observer would have granted was a rightful rematch. Nor did he insist that he should jump the line and take on Crawford instead of Horn, in what would have been among the largest pay-per-views bouts of this year, even though most of us would have agreed that his performance against Jeff Horn and legendary status earned him that right, judges to the contrary. Pacquiao fought well enough to win that fight against Horn, but it was still a far tougher go than he likely expected. If you wonder what Horn vs. Pacquiao would have looked like when Pacquiao was at his best, go watch Pacquiao’s destruction of Antonio Margarito in 2010. To me, rewatching that fight I had three thoughts: 1. Horn is better than I thought he was. 2. Pacquiao is still pretty darn good. 3. But he’s nowhere near as good as he used to be.